Updated God of War has absorbed the best features of projects from Sony. Kratos returned and again crumbles all in his path, including skeptics who dared to doubt it! After almost 40 hours spent in the world of Scandinavian myths and legends, I want to bow at the feet of the people responsible for the advertising campaign. The game has a huge number of impressive moments, but it was decided not to shine them to let people see them themselves. Therefore … it is necessary to believe on the floor, do not read and do not look at the passage at all. Do not spoil your surprises. The head of development God of War Corey Barlog knowingly asked to give the game a chance and not evaluate it in pieces. The result of the works of Santa Monica Studio, like a statue of a deity, rises above the competitors and not because there are no microtransactions, containers and seasonal passes. However controversial the alliance of the Spartan and his son Atreya looked, the authors managed to build relations between two different people caught in a harness and not understanding each other well. Kratos did not reincarnate as a completely new person, although he does not exude any hatred. He is stern, terse, and his stories are demonstrably practical and therefore uninteresting. Circumstances force the Spartan to look at seemingly unshakable ideas from a different angle and try to avoid mistakes of the past. And the divine part in the view is not the last place, and it is filigree inscribed in the overall picture. Atreus acts on the nerves only when it is conditioned by the script. Here, the most important principle of the epic adventure is excellently embodied: we are represented by heroes, they are conducted through a series of trials, which changes their characters to the finale. Since Kratos and Atreus are the central figures of the narrative, almost all the other storylines are designed to reveal these heroes better and encourage them to rethink their views on life. Because of this, global history is perceived as a blindly smeared background with unconvincing experiences of secondary characters. In addition, the game has a minimum of sudden revelations up to the finals, and in general, it resembles the first part of the trilogy with a backdrop to the future. However, the characters, whose existence boils down to stories about the universe and the location of the relics, do not slide down to the level of faceless extras. They periodically joke and communication with them do not drive into depression. Funny performances of a gnome or a talking head relieve the situation and allow a smile, watching the diametrically opposed reaction of Kratos and Atreus to simple things. The replayed battles are devoid of the former scope, but this innovation has gone to the project exclusively for the benefit. The developers took a number of components from the Souls series and savored it all with the need to invent new tactics depending on the conditions of the battle. Monsters seldom fill Kratos and his son with a number, but more often rely on a quick break, block the blows and immediately go on the offensive. Support for a variety of villains have archers or nasty flying creatures. We have to shy away, use all the skills and remember that Atreus is armed with a bow and arrows. If you properly pump your son, then his shots and additional abilities become almost an illegal reception. With their help, it is possible to deal with floundering enemies, in which it is problematic to hit an ax and to crack the defense of an armored warrior. The composition of the enemies is changing, and the battles in the spacious arenas give way to fights in narrow aisles. God of War gives reason to reproach yourself in a small number of weapons, and when you look at the branches of skills, the eyes do not scatter. But in the course of battles with trolls and icy soldiers regularly discover new subtleties. Passive and active skills immediately improve the effectiveness of the duo in combat. Earned in battles and for the execution of instructions, the experience is also expanded on strengthening the runes inserted into the Kratos ax. Runes endow the hero with powerful attacks. In the process of adventure, such bonuses are found out a little, but they have enough features. Periodically you regret that you hurried and spent the experience on pumping the wrong skill. The principle “quality is more important than quantity” extends to equipment, which is created from the collected resources and is subsequently improved. 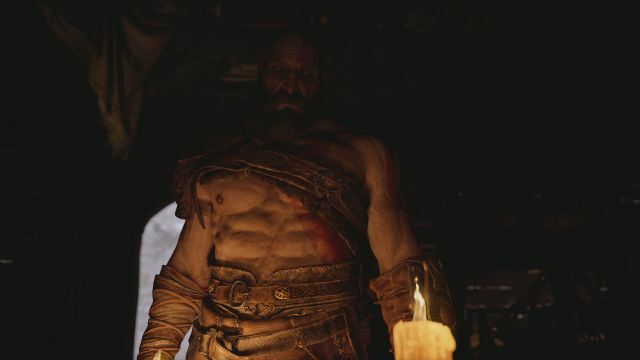 The game does not fill Kratos with tons of armor, talismans, and stones to enhance performance. On the other hand, there is no feeling that you are digging in a heap of rubbish in the hope of finding a pearl. Each subject is examined, you study its indicators, compare it with the available and read out the list of resources needed for the upgrade. Yes, there are powerful artifacts, but they need to be found or obtained for performing optional instructions. It is worth saying that the subtleties of mechanics and the value of many caches are revealed only at the third level of complexity. In this case, you can not do without additional sources of power, respectively, the search for secrets becomes an integral part of the adventure. Some finds are truly enjoyable, especially if you can collect three relics that increase the health or rage of a Spartan. By the way, for opening chests with such awards, you need to destroy or activate the three symbols hidden in the vicinity. The trivial task seems to turn into a difficult test for speed, reaction, and wit. This is a great game, perhaps the best that Sony has ever released. The developers did not reinvent the wheel and took recognizable elements as a whole. But the way they mixed them, how competently and meticulously used, turned God of War into an exceptional action movie with a magnificent presentation, attractive heroes, and a huge world, tied with stuffed secrets and strange creatures. As we pass, the rapture mixes with astonishment, the excitement of battles is replaced by curiosity when exploring new territories, and the staging scenes make us recall the times of God of War 1-3 with their gigantomania and cruel finishes. So leave doubts and just believe in the new god of war. And he will reward you.